As a companion to the rapiers of the late 16th and early 17th Centuries left handed daggers or main gauche were essential side arms. 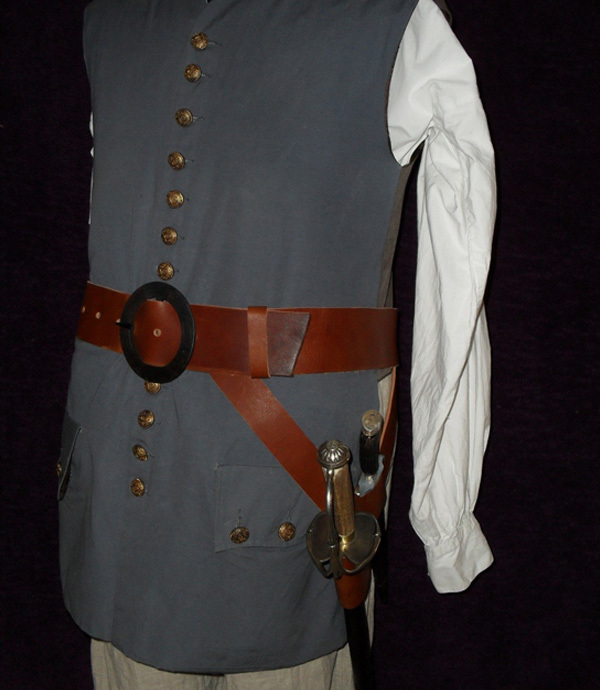 The main gauche when used in conjunction with the rapier was essentially a parrying weapon, being used to ward off an opponents sword thrusts. This is the most commonly found design for the main gauche. 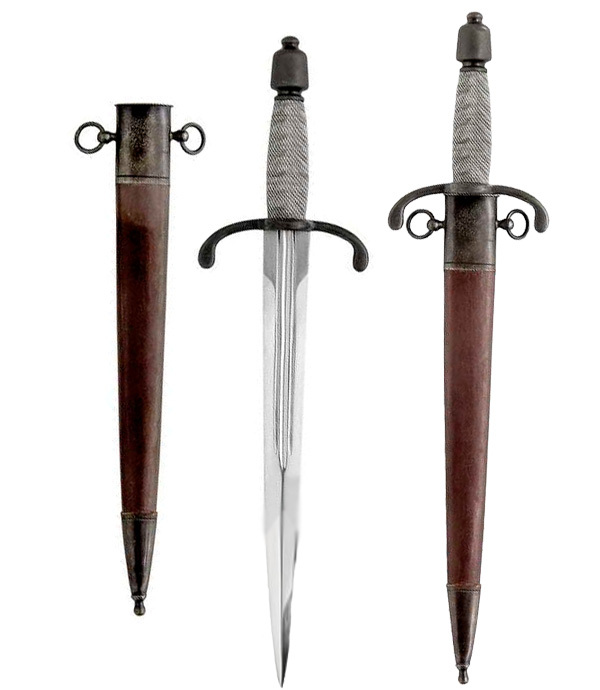 It has a sharp blade of about 12" , down swept quillions and a ring on the guard to protect the thumb of the left hand.